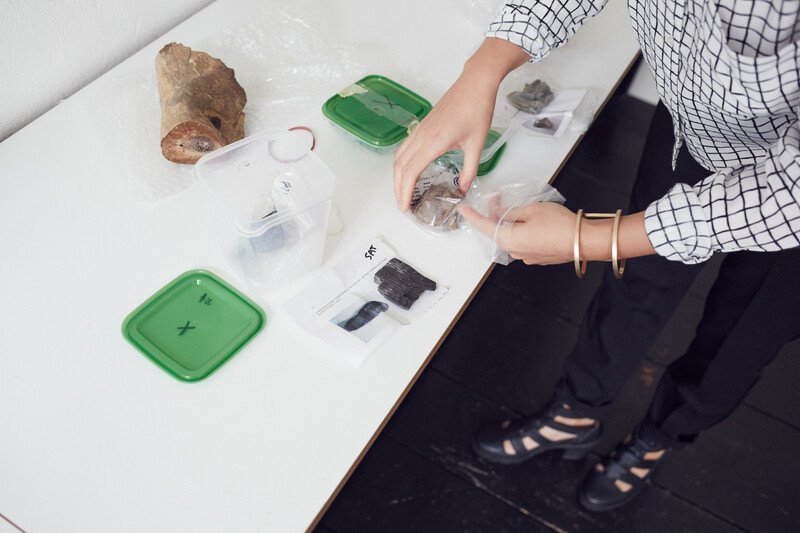 (EN) Stepping into artist Katie Paterson’s studio feels a bit like stepping into a private research museum, one where, if you’re lucky, you might be invited to touch the ancient stones and bones. There are neatly labeled fossils across one table and another holds mammoth’s leg bone. Other than this evidence of her practice, the space is neat and tidy without being sparse. (EN) Born in Scotland, she only settled in Berlin a few years ago. Her work, however, can be seen internationally – and as of recently, even in space. Her latest triumph is the confirmation of Margaret Atwood’s participation in Katie’s 100-year project, the Future Library. 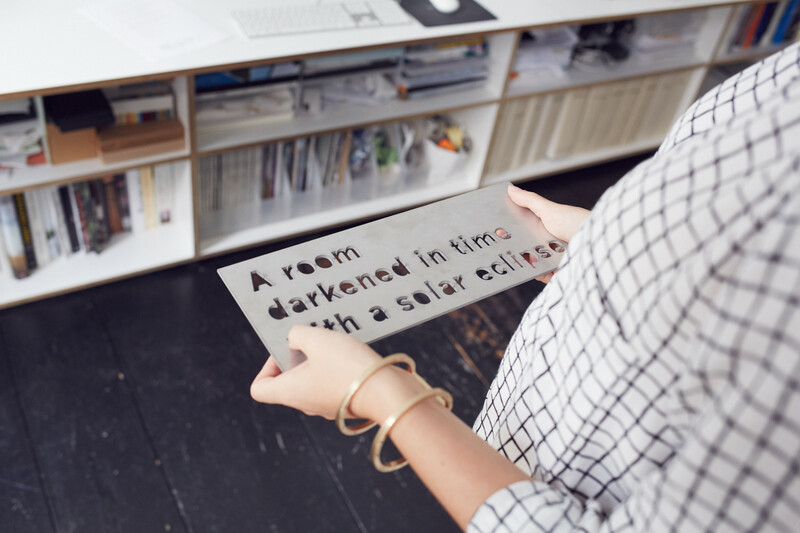 For the project, 100 writers will be selected to write texts that won’t be released until 2114. The forest, which will eventually be turned into the books, has just been planted. 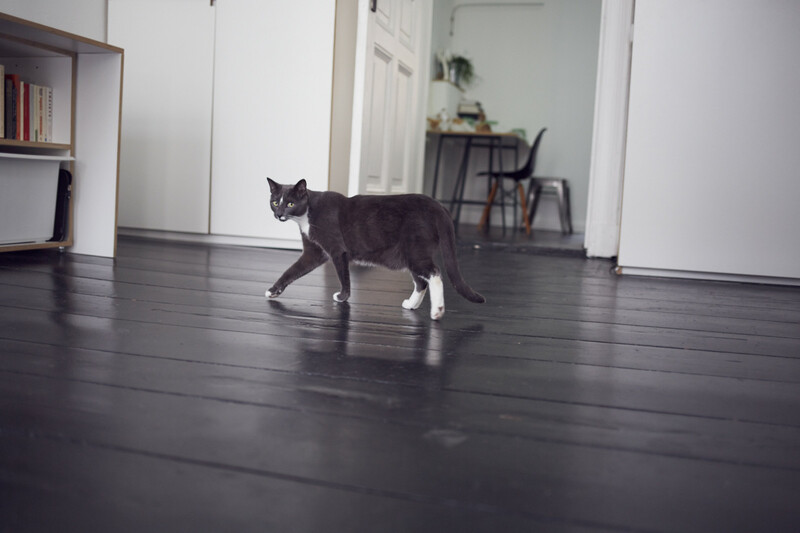 She shares her home and studio with fiancé and artist Martin John Callanan and their two feisty grey cats. (EN) You’re working on a project called the Future Library, can you explain it? (EN) It’s just outside Oslo, we’re planting a forest, about 20 minutes by foot from the last metro stop. So it’s still part of the city, but not – it feels like you’re miles away. When you’re in there you can’t hear or feel the city. In 100 years time, when the trees are fully grown, we’re going to cut the trees down and pulp them, make them into paper, and print a book, that’s written now, but never read for 100 years. Between now and than, we’re asking one author a year every year, so 100 writers will contribute to this anthology that will be printed on the trees in 100 years. We were really excited to announce that our first writer is Margaret Atwood. (EN) That’s a huge win! (EN) We’re excited about it, because she’s such a perfect writer. Writing about the distant future and speculative fiction – things that have existed and potentially could exist in the future. I just love the fact that she’s the first writer, because her work takes a leap into the future. She grew up in the forest as well and despite her superstar status she’s a very, very lovely person and very grounded too. (EN) Do you have any other writers lined up or that you’re asking? (EN) Not yet. We’re going to ask one writer a year. It’s always changing, always moving. (EN) I apologize for this rather macabre question, but who will carry this project on after you’re gone? (EN) No, it’s true, it’s fine. I chose 100 years because it is beyond my lifetime and it will be passed on to the next generation. We formed the Future Library Trust and they’ll change every four years. Their responsibility is looking after the artwork, maintaining the forest, inviting the writers and so on. The Trust will go on for 100 years, but they’ll keep changing. Lots of the people in the project aren’t even born. The writers aren’t born, the trust isn’t born, the readers aren’t born. It’s definitely the longest project I’ve ever done. (EN) The idea of just handing over your concept is interesting, you can’t predict how it will change. (EN) I’ve already handed it over, in a sense. We had many foresters help us plant the trees, so now it’s their job to take care of the forest. And the Trust, we’ve got the literary director of the Man Booker Prize, and Norwegian literary experts to invite the writers in the future. The project’s really just grown wings, that’s amazing. (EN) And what are these in the packaging? (EN) These are from Fossil Necklace. I’ve just finished it, but I thought these were kind of interesting, so I haven’t put them away yet. (EN) How did you cut the beads for the necklace? (EN) I got them cut in London by Roger Dunkin at the jewelers HOLTS. He would cut everything into tiny little squares. And then grind them into spheres, and so it’s all done by hand but not by me. (EN) And where did you get the fossils? (EN) Oh, we got them from all over the place, like from the Hamburg fossil fair, on eBay and auctions. We’ve got a cellar downstairs that’s literally filled with fossil dust. We went fossil hunting in Scotland. Just on the shore that I knew, close to where I grew up. So, we found quite a few of the fossils there. In the beginning, we were useless at it. But as soon as we noticed what one particular fossil looked like, suddenly the whole beach was full of them. (EN) They’re all labeled quite clearly. Did you do that? (EN) This was my studio team because we had so many fossils coming in and out of the studio. We would archive them, measure them, take photos of them, label them, then send them to Roger in London and he would cut them and then lots of them didn’t work, they were no good. In fact, about half of them just crumbled completely when he cut them. (EN) Do you consider yourself a nostalgic or do you approach your work very scientifically? (EN) A bit of both probably. I definitely have to approach a lot of my work quite scientifically, like the map I made of All the Dead Stars, it was so accurate and it was really important that each star was represented precisely. And with Future Library I’m getting a bit more nostalgic. Maybe because I’m wrapped up at the moment in Margaret Atwood’s dystopian MaddAdam trilogy. Or, projecting myself into that future, and being really scared of what is that future going to be like. I suppose making the Fossil Necklace as well, that is a string that recreates extinctions from the whole planet and with that I got a bit nostalgic because it’s a timeline of life and death. (EN) Looking at just how much the necklace documents is incredible. (EN) I think that piece took the longest of anything that we’ve worked on, because we had to learn so much. We had to learn about things like the major extinctions on the Earth. The necklace shows the first creatures to have eyes, the first creatures to have wings, the first creatures to breath, the very first cellular life ever to evolve on the planet. Then it traces around the whole of Earth’s geological time and history. Eventually, it comes to us at the end. It even traces the migration of people across the planet. (EN) I’m sure you can’t wear it, it’s too long, right? (EN) I’m scared to even touch the thing. (laughs) The irony is that they’re ancient. They’ve survived over billions of years. But still, with some of the beads it feels like if you just touch them they would crumble away. But the fossilized trees are really tough, one here is about 500 million years old. It’s a piece of petrified tree from Egypt or what was Egypt then. It’s so ancient. I loved that when we were working on the project we had a whole mammoth thigh arrive at the studio. Despite working on all of this, I don’t think I’ll ever be able to fully comprehend some of the time scales that these objects are from. (EN) You’ve recently sent a meteorite into space, can you tell me about that? 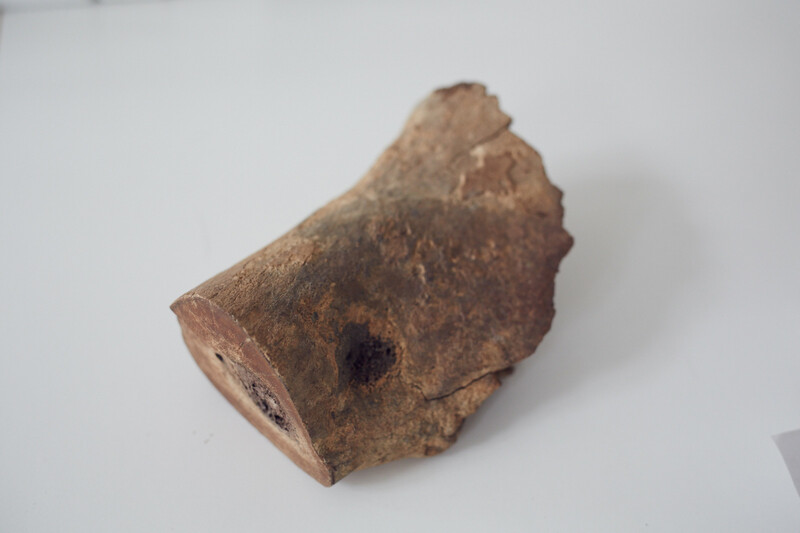 (EN) It was a small hand held meteorite that I melted and recast and then it went up into the International Space Station, with the European Space Agency. It contained meteorite material, iron, nickel, a couple of strange trace elements. It was just like a doppelganger of itself it was exactly the same shape and form. It weighed 680 grams. I also made a huge meteorite that went through the same process, but it was 120 kilo, which would have been the same weight as the quantity of air for all the astronauts for 6 months. The journey took a few weeks, and the meteorite did dock on the ISS. (EN) Have you heard any word from the astronauts? (EN) Well, the shuttle carrying the meteorite has docked. It went inside a spacecraft called the ATV – Automated Transfer Vehicle. It takes up the food and the cargo for the astronauts. That took two weeks to launch from Earth and go all the way up to the Space Station. I know it’s out there, that’s been unpacked but I have no idea if they’ve done anything with it. It’s crazy. (laughs). (EN) Is it actually going to be released back out into space? (EN) Well, this is what I don’t know yet because I think the astronauts might use it as an educational tool – to do some experiments. Then, either they will let it out back into space or it will come back in the spacecraft. (EN) It would be amazing if it was released and at some point in the near or distant future, it returned to earth through the atmosphere. (EN) You never know. It’s tiny, so I think the likelihood of it surviving the atmosphere is probably not much. But still there might be like a few grains of dust or something that fall back to the ocean. (EN) How of much of your time is spent working hands on and how much of it is researching? (EN) I think maybe about 10% of my time is the creative work. The rest is doing all the research, the making, the production, the admin and everything that’s involved. 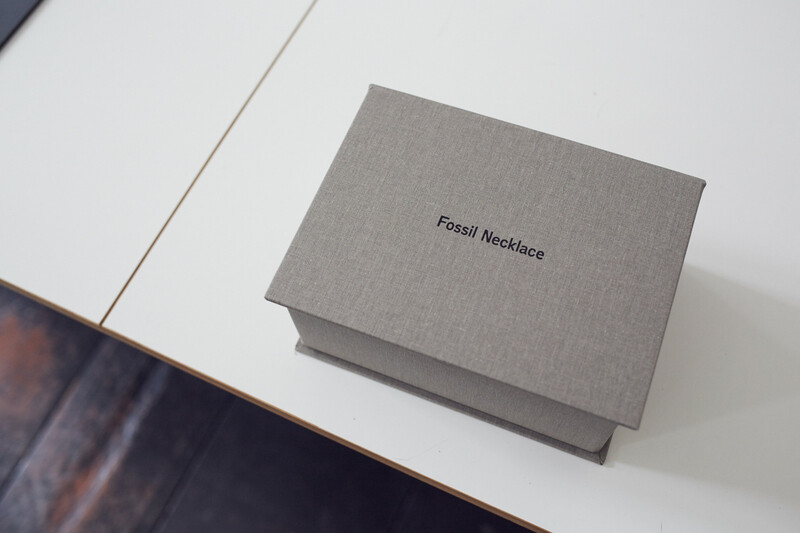 But it’s fine because I love all the research as well – like making the Fossil Necklace. It took us about a year to do that, because we had to learn about the entire history of the Earth. I knew nothing about any of it before. (EN) Do you see astronomers, scientists and foresters that you contact for research as collaborators? (EN) Yes, definitely, and it’s just grown over the years since when I first graduated from art school. (EN) How do you find them? Is it just a matter of sending out e-mails and hoping that somebody answers? (EN) In the beginning, I had to be a bit brazen. I’d send out e-mails and call people and say, “Okay. This is really weird, but I’ve got a request.” But it’s amazing. People are really generous. I think especially in the sciences. Scientists can be really happy that you’re interested in what they’re doing and they want to share it with you. With the foresters, for example, I think they really like working on Future Library because they’re used to working in a 100-year time scale anyway. It’s what they do. They think about the future all the time. One of the foresters actually grew up in the forest, and his father grew up in the forest and back and back. It’s getting easier now to collaborate with others because I’ve got more people to help put me in touch with others. For example, I did a residency at the Astrophysics department at UCL, London. I worked on that for a year, so then that opened up lots of new ideas and connections for me. (EN) I’m sure also it’s helped that you’ve become more established yourself. (EN) It’s nice now, because I can say, “These are the works that we’ve made in the past,” so it’s not completely cold-calling. And then, sometimes people – especially the astronomers – they latch onto it because it’s their world. I don’t think I’ve ever had huge difficulty. Either that, or I’ve just been really lucky with finding the right kind of person who wants to work on it. So there’s the collaboration aspect with all the researchers, but then there’s also the production side of things. And that’s quite different. (EN) Would say that you live more in the past, present or future? (EN) Oh, wow, all of them. The past in that we find fossils from billions of years ago. Dying stars where the light has taken millions of years to reach us. Very much in the very deep past, the cosmic past, but also in the future because Future Library is really looking ahead in time. It takes place now, but it evolves over the 100 years. And then the present is pretty hard to ignore. Future Library is also working with the present as well, because we’re digging up the forest, and growing the trees, and working with paper and authors right now. I often work with really modern technologies, like sending the meteorite into space. That was a very present thing, because we’re watching it live, and a lot of other works are live as well like Streetlight Storm, or Vatnajökull (the sound of). (EN) Do you think it has an effect just on your day-to-day life – say Friday night you’re at a bar and you look at wood and think, “Oh, this won’t be here in a 100 years”? (EN) I think it’s seeping in more and more. In a way, my life and the studio are a bit of a contradiction because we work really fast sometimes, and we have so many deadlines, constantly traveling about and doing shows. And so it’s fast, fast, fast a lot of the time. But then the works can be really, really slow, and then there’s the time I get to absorb myself in the creative process, and work on ideas – that’s when things really slow down. (EN) What’s the label that you’re given most often as an artist? Conceptual? (EN) That’s probably what I’m most comfortable with. Then a lot of the time people ask about the science-art connection but it’s hard to define. Because I pick up anything and work with any kind of material, depending on whatever the idea is. Then often we have to completely learn the subject from scratch. (EN) Could you explain Second Moon? (EN) Second Moon is finished, it’s been a year-long project. It’s a small piece of lunar rock and it’s in a box. It was posted around the Earth in the same direction as our moon. It went from London to Shanghai, Shanghai to Adelaide, Adelaide to LA, then back to London, continuously for one year, and could be tracked on an App. (EN) Has it experienced any adventures along the way? (EN) Like falling off shipping containers? (EN) Well, it got stuck in quarantine three times in Australia. I think Australia’s particularly strict for some reason, I don’t know why. But it’s always gotten held up in Australia. And we had to answer strange questions like, how far into the Earth was the lunar rock buried when it was discovered, and I had no idea. But nothing worse than that. At the beginning of year we just thought, “Oh no, what if it goes missing or what if the box completely falls apart.” But it survived. 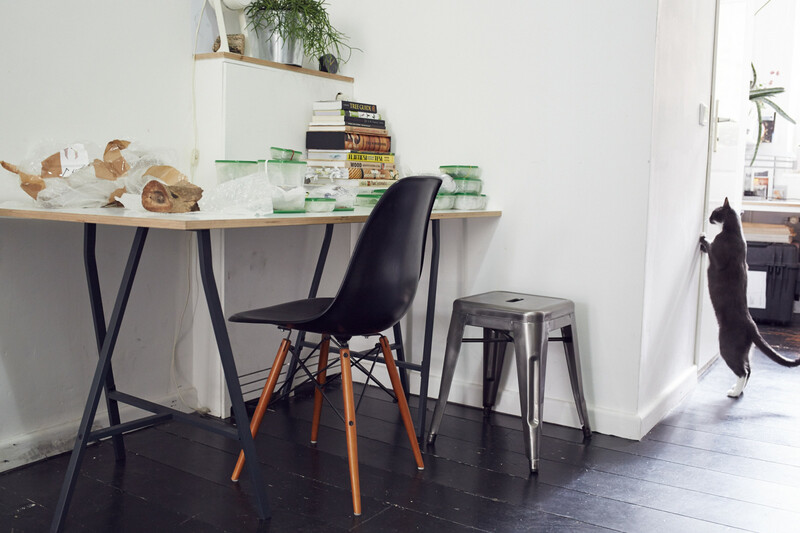 (EN) We walk with Katie to her tidy minimal apartment, just one floor down from her studio. (EN) Is anyone in your family an artist? (EN) Actually, there are a few architects. (EN) How did you start – or more specifically, at what point did you realize that you were an artist? (EN) Very, very, young. It was pretty clear that that was what I was going to do. Or at least, there wasn’t anything else that I was going to be able to do. Art school was kind of tricky, I was making work that was very diverse and intangible. It was difficult subject-wise to really know what I was doing, because I was interested in just about everything. And so for a while I was changing departments and figuring it all out. (EN) I get inspiration from lots of different places, not always just the arts. People researching the Big Bang or stars exploding. I love Japanese haiku poetry. And that’s been very inspiring recently. I’m working on a book of ideas. I have so many of ideas the book will contain about 150 ideas. They’re short little expressions – three lines or so. I’ve been looking at the haiku poetry for that. Art wise, I like the Arte Povera movement, like Boetti. And then, artists like Yoko Ono. I love Yoko Ono’s work. Music, because a lot of my work involves sound. I like a lot of Japanese experimental music and John Cage. Generally inspiration comes from everywhere. Looking at a leaf or going to a forest. I found I try to go to really quiet places and be in nature when possible, like Ise Jingu in Japan. When I first went to Oslo after proposing the Future Library idea, we stayed in a cabin with no electricity, no running water, just be in the forest and try and have a sense of what this forest is going to be like in 100 years. I try to embed myself in nature where possible. (EN) Do you have a favorite shop, restaurant or cafe? 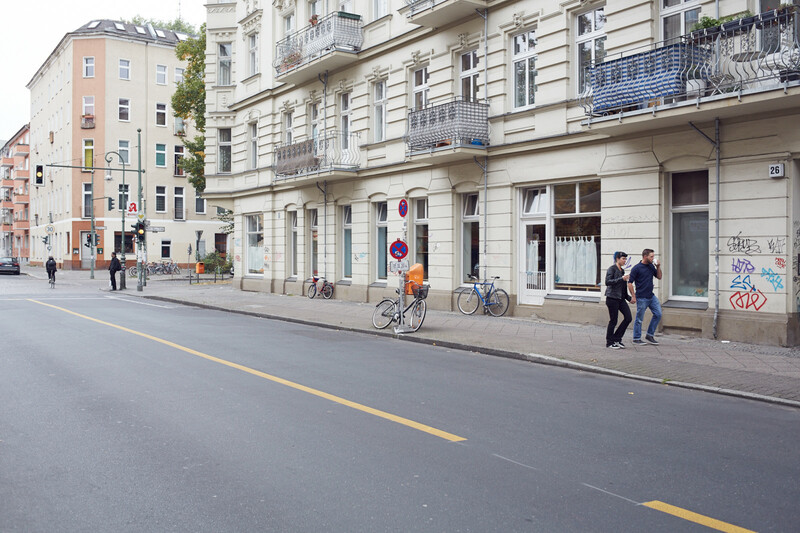 (EN) Modulor here in Berlin is the most incredible place. I go in there and don’t leave for hours –and come out with stuff that I just don’t need at all. I think we’re really lucky in the area here because there are loads of places to eat and great cafés. There’s a really nice one on the corner called Five Elephant. It’s the best cheesecake I think I’ve ever had in my life. 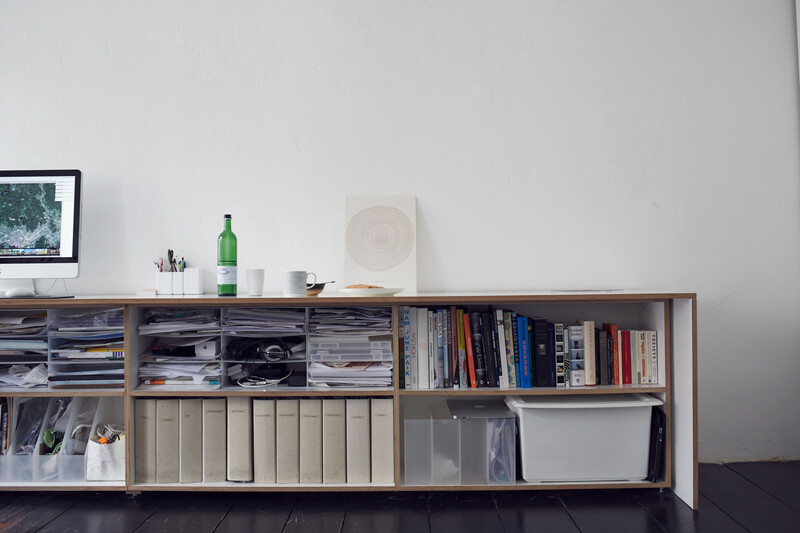 (EN) Your style of home furnishings seems to be very minimal. Is that intentional or do you just not collect knick-knacks? (EN) It comes pretty naturally, maybe through the fact that we’ve traveled so much and have kept moving. I just noticed this morning that we have nothing with any color in it. I know I can’t get away from it. In my work and what you see in the gallery space is usually very, very pared down and almost empty. And I suppose the flat’s small, so we just don’t have the storage space. We’ve got two cellars downstairs, but they’re full of fossils. We had to decide – they would either be full of fossils or they would have our stuff in it, so our stuff had to go. Fossils take priority. It feels natural, really. I always work better in a place that’s quiet and doesn’t have too many distractions going on. But it’s not always like that. Sometimes, it’s complete chaos. It’s one or the other. It’s all ordered and everything’s done or we’ve got stuff everywhere exploding all over the studio. (EN) And do you have a favorite piece of furniture or object? (EN) I love ceramics. And especially Japanese ceramics. I also love the slice of wood we brought back from the Future Library forest. (EN) And these works on your wall? (EN) That’s a Polish movie poster. This one is a whole book written tiny, tiny. I think it’s Darwin’s Theory of Evolution. Some of the pieces on the wall are from the artist Simon Faithfull, our friend who lives upstairs. (EN) Where did you get the cabinets, the design is very nice. (EN) Martin, my fiancé, and his brother, made them all. I just measured the space. We tried to do it as simply as we could. It wasn’t even that expensive, we got all the wood cut. We looked at the IKEA stuff and then we realized we could do it for the same price and have much nicer materials. 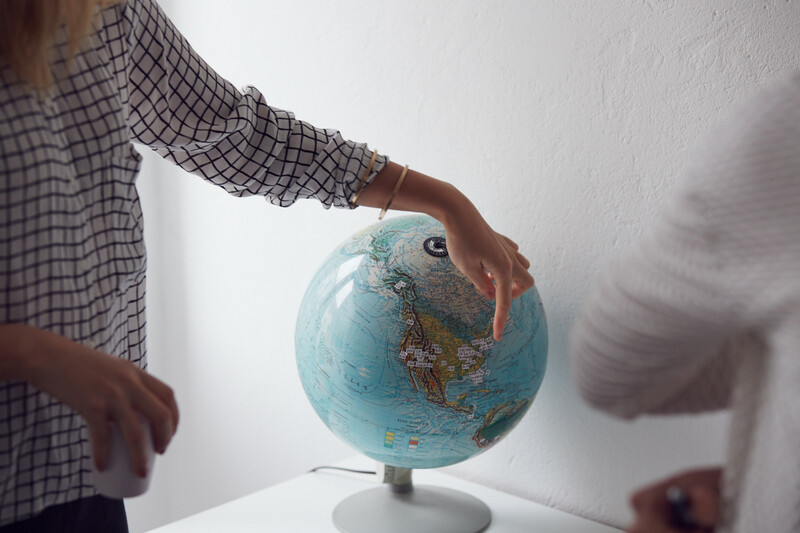 (EN) Thank you Katie, for this look into the past and future and, of course, sharing your home and work with us. This portrait is part of our ongoing series with Vitra. 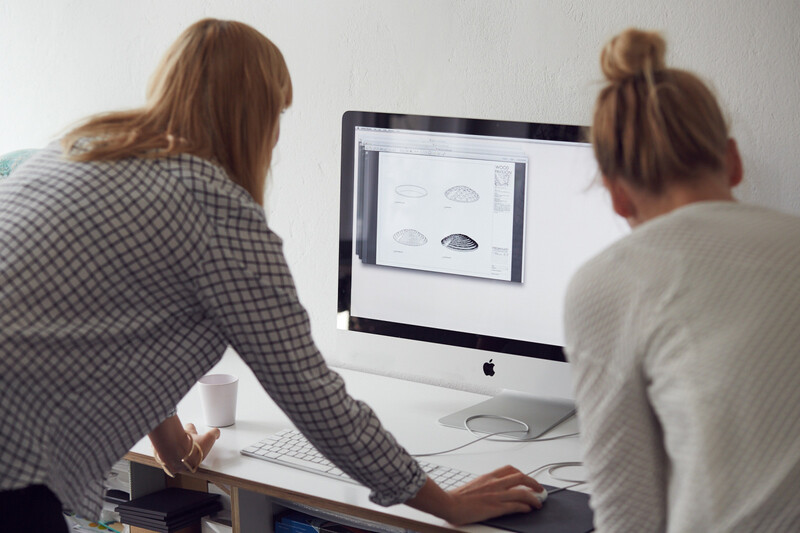 Visit Vitra Magazine to find out more about Katie’s design pieces and the way she chooses to present them.